There are many factors that contribute to the design of an engagement ring. A very important factor is the centrepiece stone if there is one. 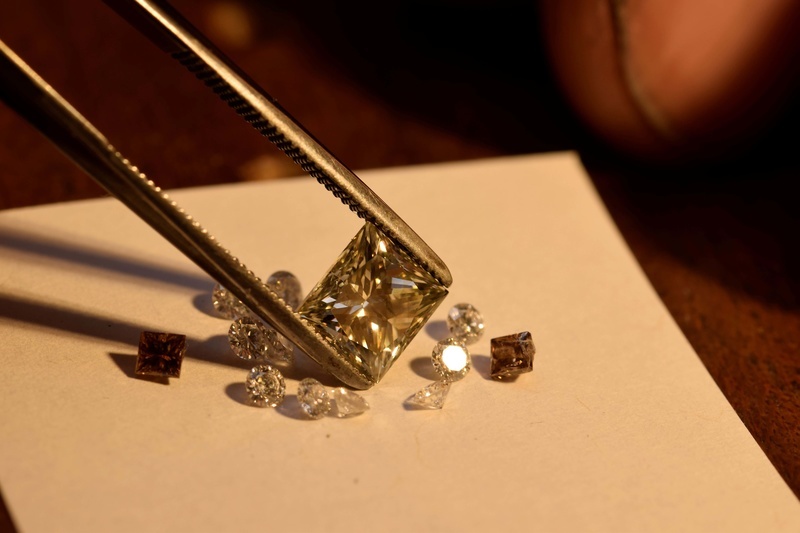 Many times, a piece follows the shape, cut and overall flow of the stone. The overall design is often used to accentuate the centrepiece. A long time ago Ortwin was inspired by a Fancy, Light Yellowish Green Diamond which we still have in our shop today. The stone is a 1.10ct Princess Cut. Ortwin saw the potential in this stone when he first saw it and bought it. Like many stones, the magic in it is something that Ortwin could only see in person, and not on paper. He went on to sketch an archaic design playing on the mysterious grey/green flashes the diamond emits. It’s always at the design point that the vision comes to life. 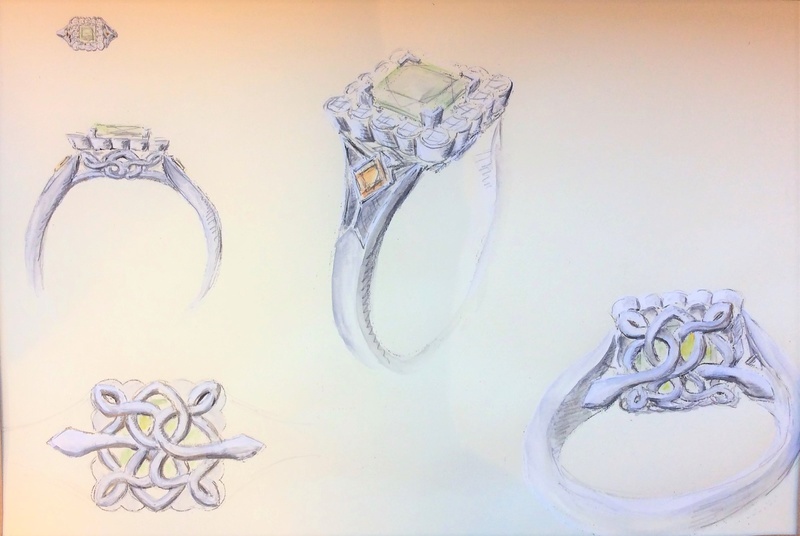 This is often the process we follow during our design consultations and we love when our customers find beauty and potential in gemstones. Their vision gives us inspiration. To see how some of our other visions have come to life, take a look at our engagement ring gallery.